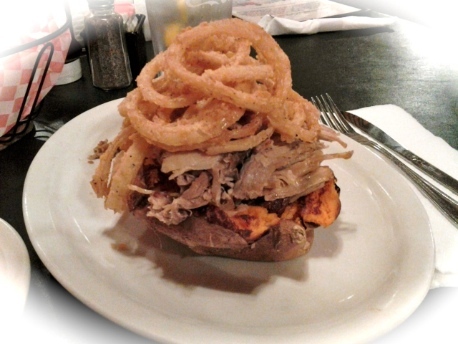 What do you call a sweet potato stuffed with pulled pork, topped with onion rings? Raging heartburn. I’m not proud of this menu choice… it was a weak moment that I paid for all night long. I have chronic heartburn and deal with the symptoms on a daily hourly basis. When I’m disciplined about my diet, portions, and preventive measures I can stave it off, but because I decided to forgo pharmaceuticals – which only mask the symptoms – I have to think about preventing the pain every time I eat. This is tough for someone who likes to hang around the kitchen and think about food all day! If you have ever experienced occasional heartburn, or like me, suffer from more frequent/serious symptoms, you how uncomfortable it is. From my 12 years of suffering, I have learned a few things about heartburn. It is most commonly the result of having stomach valves that are too weak to remain fully closed after food goes down. The relaxed valves allow stomach juices to be released back up into the esophagus where they don’t belong. The esophageal lining becomes irritated, causing a burning sensation. For many people, heartburn occurs when they eat fatty, fried, or acidic foods, overeat, or eat too close to bedtime. Of course, everyone’s body is unique, and each person will be affected differently by food and beverages. Research suggests that allowing chronic heartburn to continue untreated can be detrimental to the esophagus. The tough lining of the stomach is designed to handle the acidity, but the delicate lining of the esophagus should not be exposed to these acids. For this reason, measures should be taken to avoid heartburn whenever possible. Note: A proper diet high in fruits and vegetables and low in fatty, fried, acidic, and processed foods is your best prevention and cure. 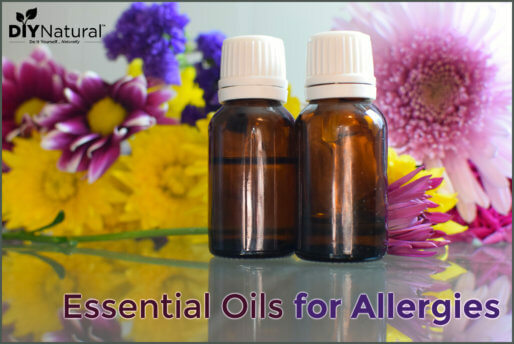 Nonetheless, because we all falter from time to time use these natural home remedies to see what works best for you. Aloe vera juice is also part of my heartburn treatment regimen. Before most meals, especially ones that include acidic foods (spaghetti sauce, salsa, etc. ), I drink about 2 ounces of aloe vera juice. At first I found the taste to be unappealing and mixed it with a little fruit juice, but now I gulp the shots before I can taste anything. I found gallon jugs for sale at my local health food stores, and smaller bottles at Kroger (a local grocery mart). This is a face-contorting remedy… but it works. Mix 1-2 teaspoons of apple cider vinegar with 8 oz. of water and drink before each meal. I prefer drinking the aloe juice over this method because my stomach is very sensitive to the ACV, and sometimes it leaves me with a stomachache for a while after drinking. Matt just shoots it straight – YUCK! If heartburn has already set in, you can use ACV to get rid of the burn. Just quickly drink 1-2 tablespoons of ACV and you’ll notice almost instant relief. Warning: this method is extremely unpleasant. Note: if you can’t handle the ACV substitute it with a shot of lime juice. Since we are all different, I asked for Matt’s opinion on the best natural heartburn remedies. He agrees that almonds are very effective in preventing heartburn when eating problematic foods. He often holds his hand out after a restaurant meal when I’m discreetly nibbling my almonds. A shot of apple cider vinegar is another one of his favorites, and he can drink it without getting a stomachache. He also finds relief with a shot of lime juice (not from concentrate). It sounds contradictory since it’s an acidic citrus juice, but it works for him. The last remedy he uses – and I’m envious this doesn’t work for me – is munching on a few apple slices after noticing the first signs of heartburn. If you are prone to heartburn, you should also keep in mind that it’s not just food that can contribute to the problem. Wearing tight clothing can put pressure on the area where those tricky valves sit between the stomach and esophagus. Overeating causes a full belly to put more pressure on the valves, making them work harder to keep stomach juices where they belong. Avoid bending over or exerting yourself for a while after meals. Try to eat meals several hours before lying down for naps or bedtime to give your body time to fully digest. Heartburn is a painful nuisance. Spending years looking for a natural home remedy that works for you can be a daunting bout of trial and error, but be patient and keep trying – avoiding pharmaceuticals that only mask the symptoms will pay off in the long run. Did you see anything new in this article you are going to try? Do you have a natural heartburn remedy you swear by that might work for others? Share below! I have found that adding a couple of drops of Lemon essential oil to my water that I have with meals helps keep the heartburn away. I have GERD and a hiatal hernia and had been taking Omeprazole for years. When I have over indulged and the heartburn flares up anyway I will sip on a glass of room temp water with a couple of drops of the lemon oil and after 30 minutes my heartburn subsides. I never let restaurants put lemon on my water or tea because mose of the restaurants don’t wash them before they slice them up and put them in your drink. Reports have shown lemons in restaurants are covered with all kinds of bacteria! It’s much easier to carry my small bottle of lemon essential oil with me. Wow, that’s a wonderful tip Tammy! Good point about the restaurant lemons too…I forget about this sometimes. Heart burn could be rectified by means of homeopathic medicines. I was hoping this would be the case for me, but my naturopath had to give me DGL in addition to my homeopathic remedy before I noticed any relief in heartburn. Thank you so much for posting this! I have been addicted to you website for over almost a year now and always find interesting things to try. But I was most excited to find this. I suffer from heartburn & reflux on a daily basis, usually at bedtime!! I did not have this problem until I got pregnant with my son, who is almost 2 now – it’s like the pregnancy symptom that never went away. Lately I find I’ve been taking Zantac every night just to be able to lie down! So I’m definitely going to try these. Thanks again! So glad you’re giving some of these a shot! Check the comments for some great ideas from readers too. 🙂 Hope you have good luck with one of them! Here at our house we take a good sized shot of pickle juice. For upset stomachs too. Something my grandmother always had me do when I was younger. So there is always a pickleless jar in our fridge. And I always know when the kids’ stomaches are bothering them cuz they pour themselves some lol. That’s so funny Fredia! I have never heard that one before. I too have suffered years of agonizing pains due to gerd, even to the point of not sleeping because of the severe pain and vomiting that seemed to never subside regardless of what I ate. But one miraculous day a friend told me what she had been doing for her husband ( whose gerd was almost as bad as mine), she said to take something called Chlorella and Herbal extract of cilantro. Both can be found in health food stores, however the Chlorella could be found at most gnc’s as well (please to spare yourself from a nightmarish experience get the pill form of this only!!!!!!! As it is a fresh water algae and tastes horrible). So I took both products as suggested on the bottles for 1 month only. And not only is my gerd gone but so is my ibs which was also getting out of control. Now I can eat whatever I want again (mmmmm spicy foods) but I know that at the smallest sign of it coming back, I can just start taking this stuff again. Also as an added benefit both of the supplements offer a wide variety of positive improvements to your health. Check it out with Google, this stuff is Awesome. I forgot to mention I have been completely symptom free for over a year now and couldn’t be happier. Wow Tonya! That’s a huge victory! I’ll have to give it a try! I have had great success with peppermint tea, and some success with ground ginger and hot water. There is a “bite” to get past with the ground ginger. Peppermint works every time! I was diagnosed with GERD years ago, tried a bunch of different meds. I did a bunch of research online and tried many home remedies. Peppermint gum is my favorite! Its cheap, readily available, and super portable! I have given it to many people when they were complaining about heartburn, it worked 100% of the time. If one stick doesnt work, go for two. A little research online shows that most peppermint gum, even sugarfree gum, uses essential oil to flavor it. Great ideas in this article (and the comments). As I mentioned over on the Facebook comments, I’m glad you included a note to communicate with your health practitioner. After my experience of trying to treat constant heartburn, first naturally and then with over-the-counter products, for over 2 years and then discovering a hiatal hernia was the cause, I am much more likely now to visit a practitioner for diagnostic procedures. I will still not necessarily accept their recommendations for medication, but knowing what you are treating (whether you treat naturally or pharmaceutically) is invaluable. Again, thank you for the tips! I prefer natural remedies ‘coz i know from my experience medicine has only temporary treatment. Thank you so much for these ideas! I have a herniated esophagus and non-erosive gastritis and acid reflux–the queen of tummy trouble. But, this explains why almond butter on white toast always makes my tummy feel better. I find avocado helps when the tummy is in pain. I agree with the readers that you need to have things tested and remember the trigger foods so you know exactly what is causing the problems. For example–raw onions always give me heart burn but french fries make me feel much better. Interesting article. Last year I was told my constant coughing was acid reflux. I don’t suffer from the burn that most people do, I just cough, its almost like a shortness of breath. I tied the medicine and found it only took the edge off. Mean while I was looking for a natural remedy. Apple cider vinegar is the key. But it is more than the acid that helps. First, it must be unfiltered and I am a huge fan of organic. I drink it before and sometimes during my meal. I dilute it more before a meal because as mentioned in the article, it would make my stomach a bit upset. (nothing that lasted very long.) Also, there are so many other positive health benefits to take a shot a day of unfiltered apple cider vinegar every day. From clear skin to better cholesterol levels, it’s worth a google. I no longer suffer so painfully from acid reflux now that I drink the vinegar. My friends laugh at me when they see me coming with my ginger vinegar cocktail at dinner time, Ginger is a digestive aid, I make a home made ginger tea and add it the vinegar for those meals that are a little tougher on me. Just grate fresh ginger in some boiled water. Let it cool, put it in a glass container and stick it in the fridge for when needed. These two things have saved my taste buds and my esophagus. Hi I just wanted to ask you besides the coughing did you have any wheezing that seemed to come from your throat. I was told acid reflux was causing this but the meds didn’t take it away completely, now they want to check me for allergies. I did try the Apple cider vinegar drink but it was making my teeth sensitive so I quit drinking it. Any suggestions? I have had these wheezing and coughing since the birth of my third daughter who is now 16 months. I have been tested for asthma and acid reflux which I have they just didn’t think it would be causing my symptoms. I was recently diagnosed with GERD. I had the constant cough, wheezing and shortness of breath. The wheezing is is from the inflamation. One doctor told me I had RAD-(reactive airway disease) and then later mild enphysyma. Not getting any better I went to my ENT and he diagnosed me the with GERD. Try drinking your ACV through a straw and using a sensitivity toothpaste. I went to the ENT and found out I have Subglottic stenosis. My trachea had narrowed 50% which might have been due to acid reflux. I got a balloon dilation yesterday already breathing better. I recently had two bouts of pneumonia that a pulmonologist finally connected to GERD. Once the pneumonia and RAD symptoms finally subsided, I still had very little voice left…and I’m a singer! A wedge pillow made all the difference. Within 5 days of sleeping on a wedge, my voice came back! The GERD was usually silent, but was burning my vocal chords at night. Elevating my body with a wedge seems to be keeping the acid down where it belongs. It is also important to remember that acid reflux can be caused by h. pylori, which left untreated causes ulcers. Frequent heartburn can errode the lining of the esophagus and lead to cancer. Please be sure of what you are treating at home and do not overlook the treatable causes that can lead to significant health problems. People are more prone to go to the doctor first. This article was not written to give medical cures for acid reflux, but rather to help people try natural home remedies, that work for many, as possible alternatives to prescription medication. Thanks for sharing Tracy, God bless. I chew a couple Papaya tablets and that usually does the trick. Thanks for all of the information you provide here! I too to drink a teaspoon of baking soda dissolved in about 1/2 c of warm water. It often works for me. When I was pregnant, over the counter heart burn medications did not work at all. (This was before I started studying natural remedies and natural living.) A friend suggested eating peppermints and sure enough, it worked. Since that time, when I feel heart burn coming on, I grab Altoids because they contain peppermint essential oil. Sometimes, though, it does not resolve the issue. In which case, I drink a glass of milk. My favorite remedy for nausea is Wrigley’s Doublemint Gum. Works every time! Wanted to share what always works for me for REFLUX in the night…if I take probiotics (a high quality, more expensive brand) I don’t get reflux. If I don’t take it, I get reflux! Yes. That’s what I did! started to take probiotics and incredibly, I feel better than I did for many years! I digest better and almost entirely gor over the GERD problem! You people with digestion problems should try it. It certainly can’t hurt. I get occasional heartburn but it’s always at night and keeps me awake until about 3am. The other night I got it and it lasted ALL night.. and I have a newborn baby so I need to get my sleep! 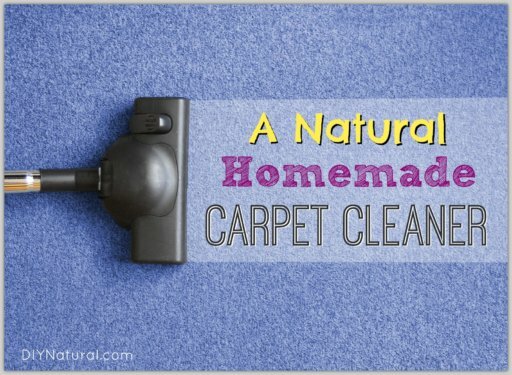 I tried most home remedies and I’m not sure what finally worked, but I think the biggest thing for me since it is only occasional is just to pay attention to what caused it. The last time it happened, it was after a late night snack of apples & almond butter. Weird, huh! The other thing I did try which was also an awful taste was baking soda in water. But like I said, I tried everything that night and so I don’t know what did the trick. Yeah the baking soda and water is a natural replacement for chewable antacids. When my Dad totally quit using the microwave, 90% of his heartburn problems disappeared. I was diagnosed with GERD several years ago by a gastroenterologist. Later, I went to an alternative physician who asked me, “How do you know you have excess stomach acid? Did you ever have your levels measured?” What a thought!! I agreed to have a test where I swallowed a radio transmitter that took readings of my hydrochloric acid and sent them to a computer. Lo and behold, I had TOO LITTLE stomach acid! It presents with the same symptoms as GERD, and as we age, our bodies produce less of it. I now take a betaine HCL supplement when I eat fatty or high protein foods, and I haven’t had any symptoms for years. So please check with your doctor to see if you can get this test. No more pharmaceuticals or side effects. Hallelujah!!! Thanks for sharing this. It supports my suspicions for myself. I have most trouble when eating beef and suspected it was not being digested properly. I will look into your suggestions. in the freezer, keeps it around longer. Great system Mindie, thanks for sharing. Ginger is supposed to be a digestive aid and antiinflammatory (also important), but it irritates my stomach. You may want to dilute it, because a little goes a lonnnnnnnnnnnng way! This sounds like a great plan to help! I’m curious though-about how much water to ginger do you use? I worry about using too much ginger and getting the opposite effect! According to Dr. Natasha Campbell McBride, who specializes in gut health and its connection to brain, neurological, and immune health (Gut and Psychology Syndrome, and an upcoming book, Gut and Physiology Syndrome), chronic heartburn is actually a sign of low stomach acid, and an indication that digestion is not happening properly. Acid reducing prescriptions and antacids may relieve the symptoms, but they worsen the underlying problem. Low stomach acid prevents proteins from being properly digested, leading to LOTS of problems, and encourages the growth of pathogens in the gut. Pathogens that are allowed (by low stomach acid) to grow near the sphincter at the top of the stomach (which prevents food from refluxing) partially paralyze the muscles that control the sphincter, causing reflux. Even though the acidity of the stomach contents is lower than normal, it is high enough to burn the esophagus, which was not designed to withstand such acid. She recommends increasing stomach acid with Betaine HCL with added Pepsin (200-300 mg) at the beginning of each meal for adults. Eating homemade or unpasteurized sauerkraut (so the beneficial bacteria and enzymes are still alive) before or with meals is also recommended to help prepare the stomach for food and better digestion. Homemade meat/bone stock/broth is soothing and healing to the whole digestive tract and improves digestion as well. Also, low stomach acid causes a deficiency in pancreatic enzymes, which also ends up impairing the body’s ability to break foods down. Once stomach acid reaches a normal level again, the body will be able to produce pancreatic enzymes properly, which will improve digestion immensely. Also, probiotics should not be given at the same time as Betaine HCL because the acidity could kill the beneficial bacteria in the probiotics (which would be better taken first thing in the morning and/or after eating, when the stomach acid is lower. This explains why apple cider vinegar helps heartburn. I would highly recommend the book, Gut and Psychology Syndrome for anyone struggling with chronic digestive problems of ANY kind, as well as for anyone dealing with autism and other learning disorders, auto-immune disorders, food allergies, or mental illness. A google search will turn up a ton of information and links. Your explanation is a godsend, since I cannot get through a day or a meal! Going forward I need some tricks of the trade. I relied on carafate (sucralfate) to iron things out, but need more than that in my arsenal. thhis contribution sounds understandable to a layman and logic. I have tried the idea of acids (saurkraut, apple vinegar, limon juice) and it works for me, as well as licorice and fennel tea. Great post, Betsy. I quit wearing jeans years ago for the health of my stomach. In fact, I went to jumpers and only recently started wearing skirts again, but jeans–only when necessary. May I add my remedies? DGL is a licorice product that has removed the component that raises blood pressure (making it safe for anyone). The licorice coats the stomach and esophageal lining thus protecting from the acids. This allows it to heal. DGL has been used to treat ulcers with as much or more efficacy than pharmaceuticals. I have made great progress in the health of of my stomach since taking it. Also, you don’t have to take it forever. It heals. Then when your symptoms are gone, you can quit taking it. Of course you don’t want to go back to the eating habits that caused the problem in the first place. Great ideas Carol! I have not heard of DGL…I’ll definitely be looking into this. DGL is the best! I also have used (in an extremely uncomfortable case and wanted immediate relief) pickle juice. Yes. It worked!!!!!!! Where do you get DGL? Chew dill seeds or sip a home-made dill seed tea. Or fennel. These help you burp up gas and relieve pressure. Carry dill seeds with you. A few grains of salt helps me burp, too. A sip of half and half. (unsweetened). You don’t have to drink an entire glass of apple cider vinegar with water. I sip a solution when I feel stomach discomfort. Thank you for sharing this. I have dealt with heartburn for quite a while and it has gotten so much worse since I became pregnant with my first. I am now pregnant with my second and the heartburn is not letting up any. I know what foods to stay away from to prevent it for the most part but, it is hard to avoid spaghetti (my favorite) sometimes. I have yet to try the Aloe Vera Juice or the ACV. I will forsure be trying them on my next round with heartburn.